For now, Siargao remains a fairly undiscovered idyllic island in the South-East of the Philippines. 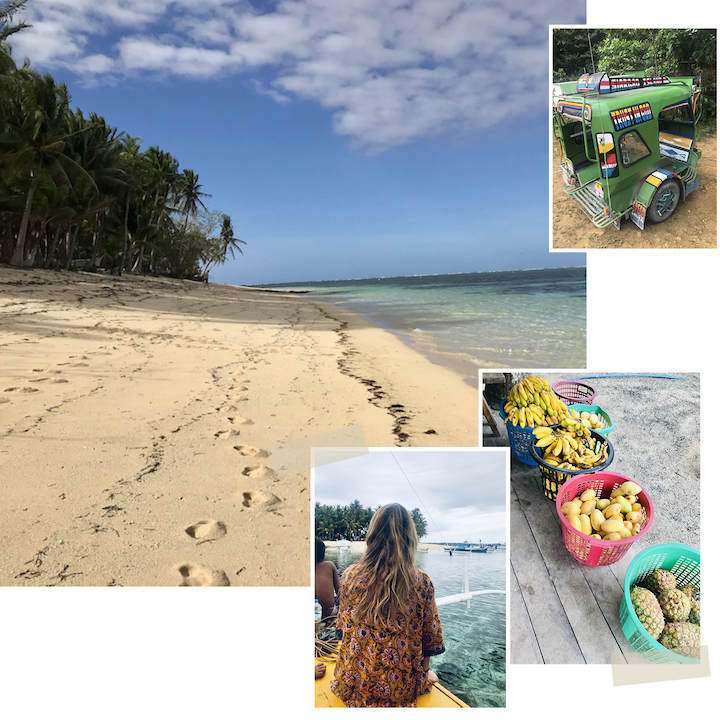 Some refer to Siargao as “how Bali used to be”, and with the island offering an Insta-worthy tropical landscape, brilliant blue lagoons, secluded beaches with crystal clear waters, and the warmest, most welcoming and friendly locals, we can certainly see why! 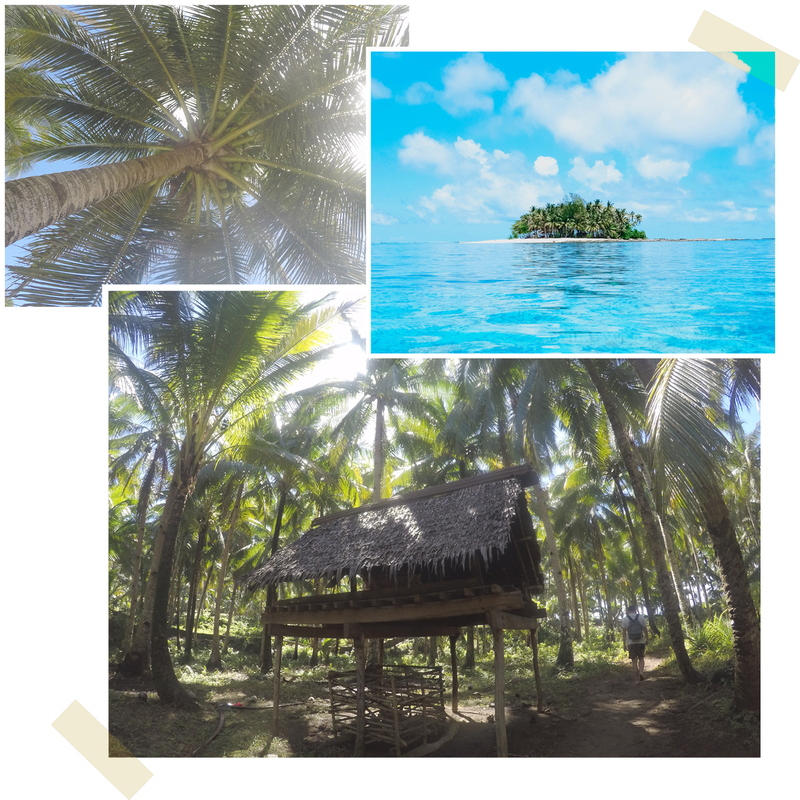 Siargao is known as the surfing capital of the Philippines, and while the wide range of surf spots on the island make it an excellent destination for all levels of surf-enthusiasts, the island also offers so much more than that. If it’s an active holiday you’re after then this place ticks all the boxes. You’ll find surfing, yoga, windsurfing, wakeboarding, boxing, horse riding, kayaking and SUP all available here. The island hopping, quiet beaches, chilled laid-back vibe (and poor WiFi connection) combine to make it the perfect place to simply switch off and relax. 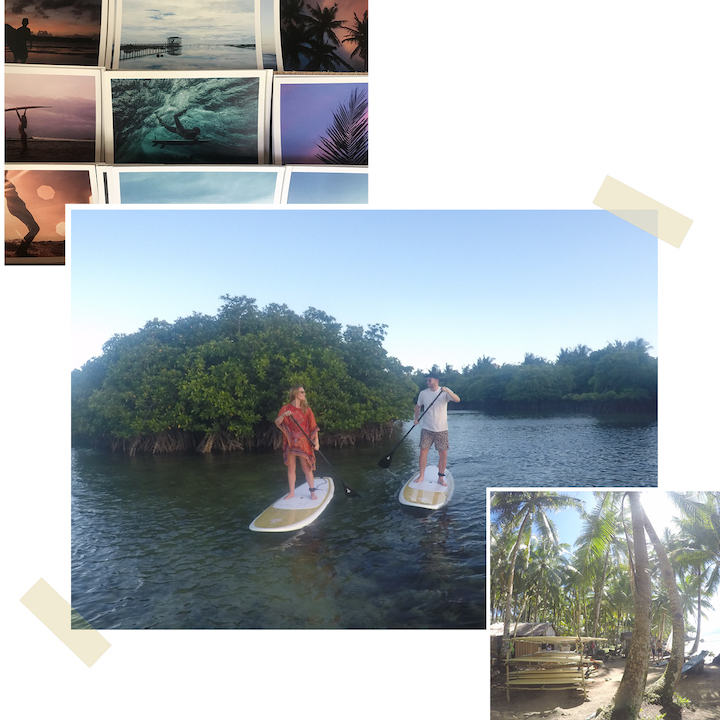 It depends on your purpose, Siargao has good seasons (typically) for different activities. For a good run of sunny days head to the island between March and October as this is the dry season. But wet season isn’t always that wet and there are lots of things to do all year round! If you are a keen surfer it’s best to visit between July to November when the waves are at their biggest. Head over in September for a chance to catch the Siargao surfing competition (just make sure to book early – this is a big pilgrimage for those who worship the waves). March to October is best for Kayaking, when the winds are not so strong and there is a lot of sun to reveal Siargao’s crystal clear waters. March to May is the ideal season for fishing, when the big billfish like Marlin and Sailfish are most active. There are, however, fish that can be caught all year long, such as Yellowfin Tuna and Mahi-mahi. You might want to catch the International Game Fishing Tournament that takes place in Siargao in April. Another thing worth checking out is the fish markets – this will give you a pretty good idea as to what most people have been catching recently. Kiteboarding and Windsurfing are best done from December until the end of March. You can launch your kite and ride in the warm, shallow clear water lagoon directly in front of Viento Del Mar. Conditions are perfect for beginners, and advanced riders will love the flat water conditions for freestyle riding and the world class waves at the reef. Lastly, scuba diving is best done between April and October, when the swell is smaller and the waters are clearer, thanks to the sun being out more often. This should allow for greater visibility at the 20 famous diving spots in Siargao. There are PADI certified diving instructors available for beginners. If you’re flying from Hong Kong it will take two flights (minimum) to reach Siargao. One to Cebu or Manila and then a flight into Siargao airport. The plus side is that the flights are short, around 2 hours to Manila or 3 hours to Cebu and then a short hop of 1 or 2 hours onwards. So if you time it right you can minimise wait time and make the whole trip in 6 to 7 hours. There are plenty of shared or private taxi vans available on arrival at the airport. If you’re heading to General Luna, a shared taxi van should cost approx. PHP300 per person each way, or PHP1,000 for a private car. To explore the island, you can hire a van for large groups, use a motorcycle taxi (known as a habal-habal), or rent a scooter. Most of the hotels on the island should be able to help organise your transport or arrange an organised tour if preferred. We opted to explore the island by scooter which cost around PHP400 rental per day and roughly PHP50-60 per litre for Gasoline (which you can find everywhere along the side of the road). Navigating your way around the island is very easy, although some of our highlights were actually getting lost and ending up off the beaten track, exploring the jungle! 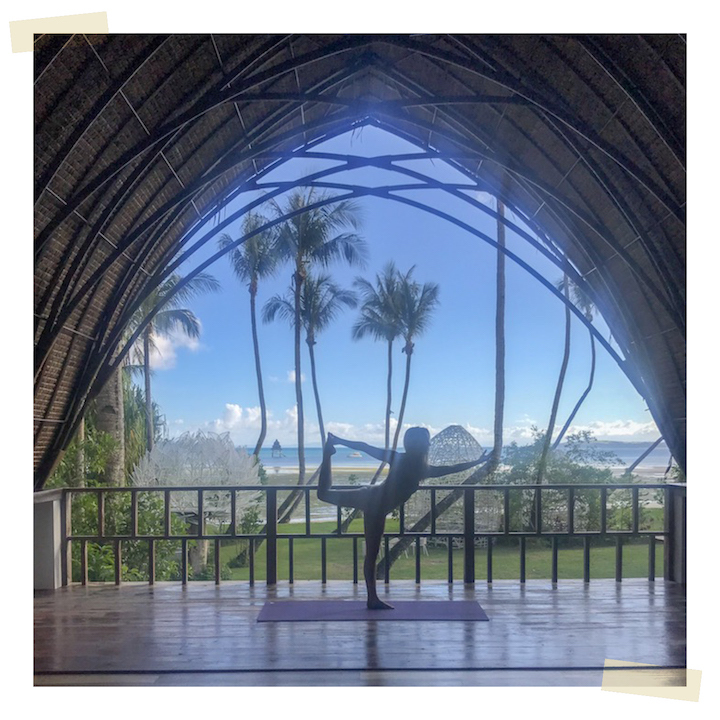 Whether you’re looking to stay around the hustle and bustle of Cloud9 and General Luna or you’d prefer a quiet retreat, Siargao has a wide range of options available to suit every budget. 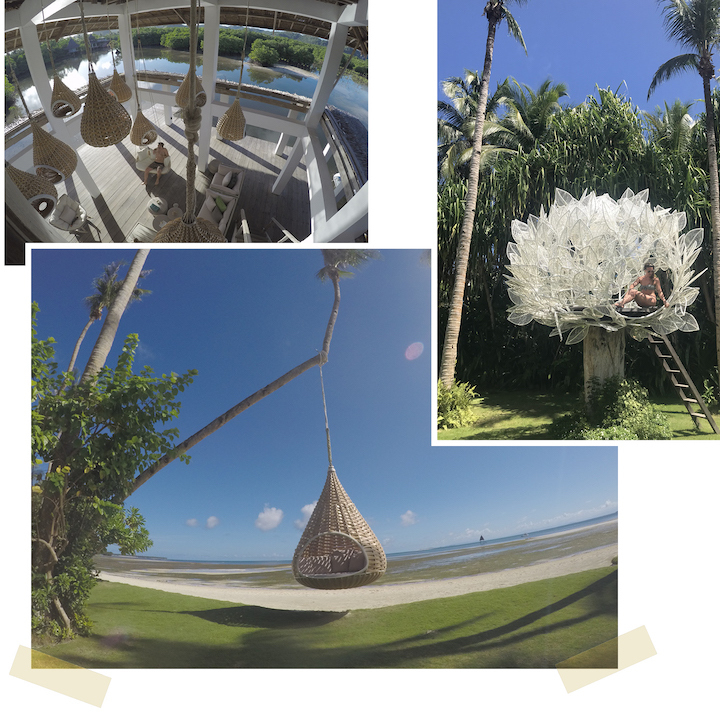 The only 5-star resort on the island, the Nay Palad Hideaway offers an incredibly unique, personalised and luxurious experience. With only ten villas and one complex, the private beachside property is stunning. Guests can expect to be collected from the airport in a swanky tailor made jeepney (a lounge on wheels! ), and from the moment you enter the gates of the property, the attentive staff are on hand to see to your every need. Expect no menu, set restaurant areas, or restrictive activity times. At the Nay Palad Hideaway the staff carefully create your dishes, drinks and experiences just the way you like it. 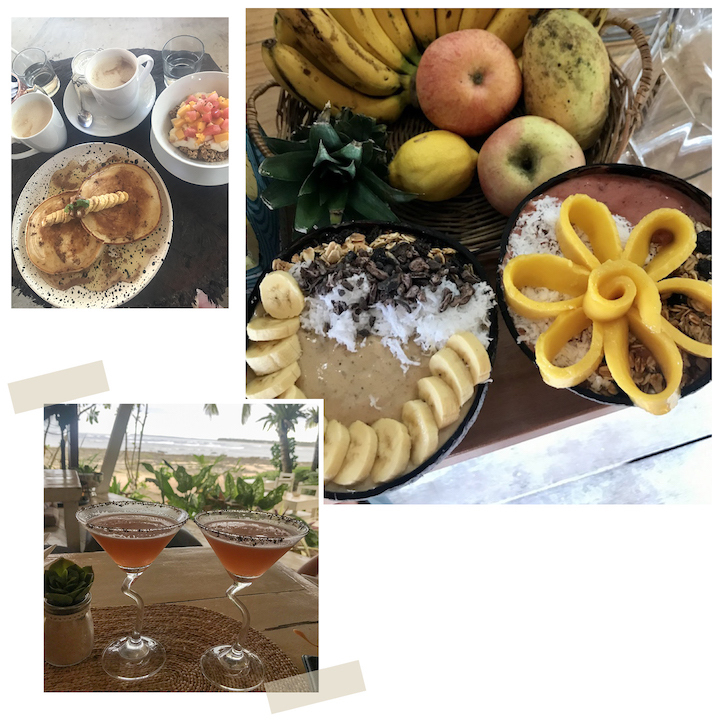 Whether you choose to dine by the infinity pool, up in the treehouse or out in the ocean on the private pontoon, you’ll be sure to enjoy a feast of the freshest food Siargao has to offer, carefully crafted to your dietary needs. 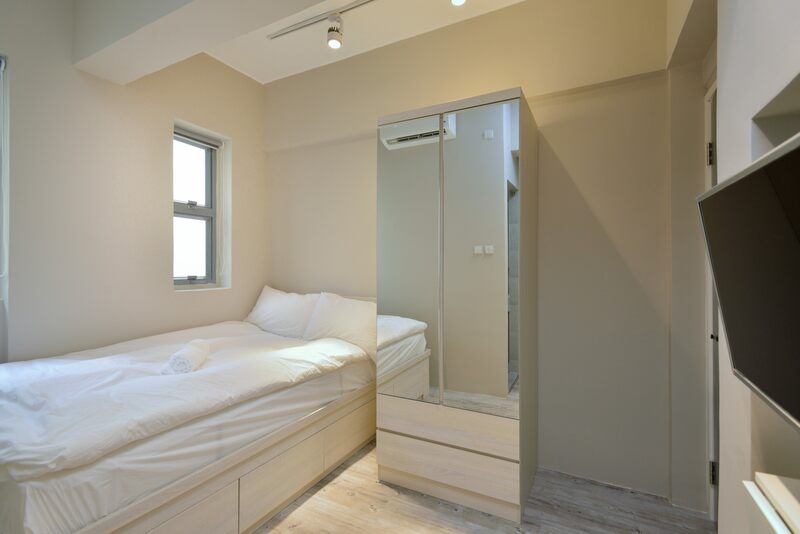 Here you can find absolute privacy or around-the-clock attention and activities. Whether you’re watching cinema in the pool, sipping an after-massage tea in the spa nest, or joining the chef for a lesson in the kitchen, nature always surrounds you. The onsite entertainment manager will help to arranging everything according to your schedule. One thing you’ll not want to miss is a sunset session of SUP or Kayaking through the resort’s tranquil private mangroves! This Balinese inspired resort has a range of 40 rooms with floating cottages overlooking the 1,600 square metre pool, deluxe garden view and terrace rooms. 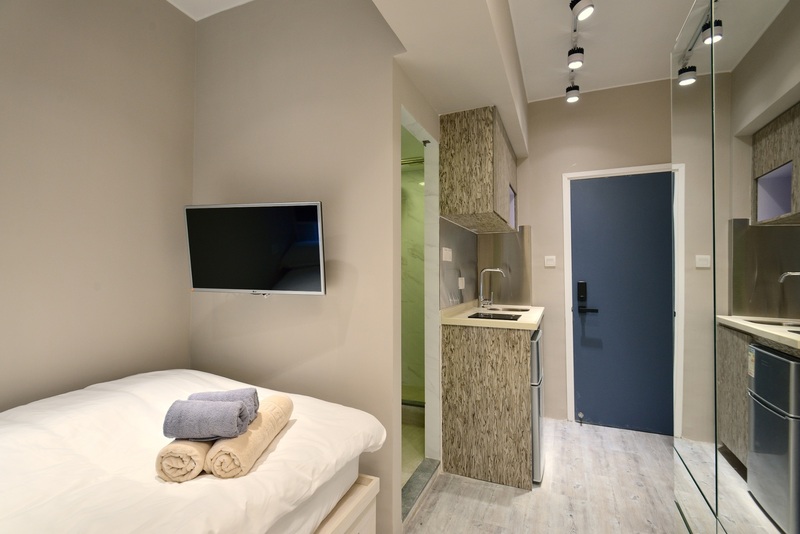 There’s also a well-equipped gym and spa, making it a great option for those looking for a wellness retreat. The friendly and attentive staff at Siargao Bleu are always on hand to make your stay a memorable one, and they also offer a personalised butler service upon request (in case you want to make your stay extra special). Bleu restaurant is also worth a visit, being one of the biggest seafood restaurants on the island, serving local King crab, fresh fish and local delicacies like Lechon. Situated in the quiet Malinao neighbourhood, this eco-conscious retreat offers beach cabanas and some glamping options too. With the location being away from all the action of General Luna, you can expect communal dinners, chilled nights spent around the fire pit, and days spent relaxing in your hammock or the pool. There are also yoga classes and day trips available for booking. 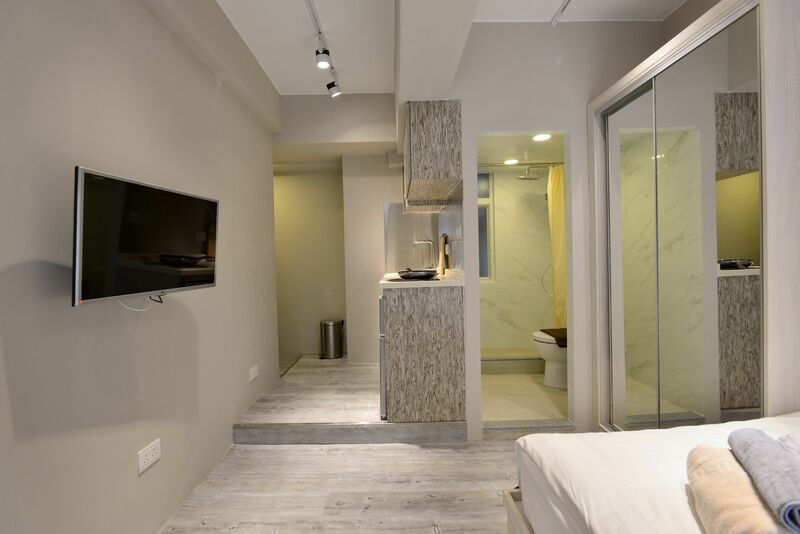 Besides the fantastic Italian fare on offer at L’Osteria, there are 2 modern, spacious and stylish penthouse rooms available overlooking Tuason beach. 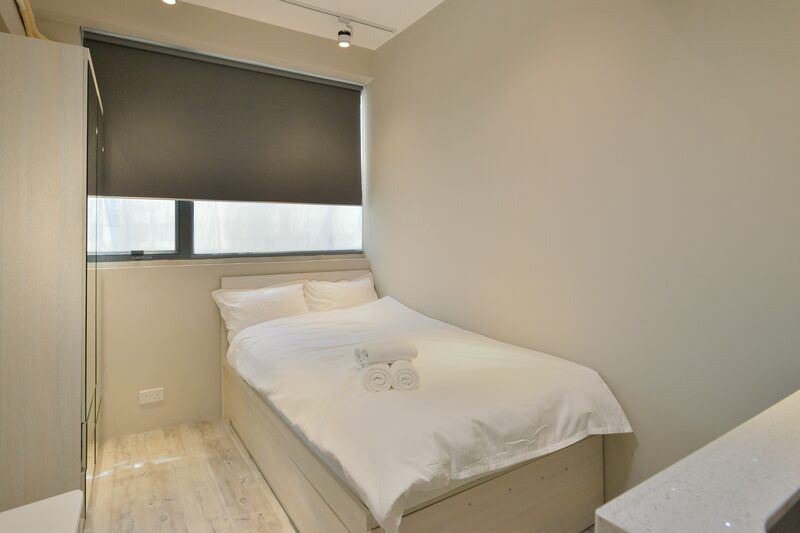 Bookings can be made through the Facebook page or Airbnb, and include a full continental breakfast (possibly one of the best we’ve ever had!). With a fantastic surf school, good food and the finest coffee in General Luna, this is a great place to stay! 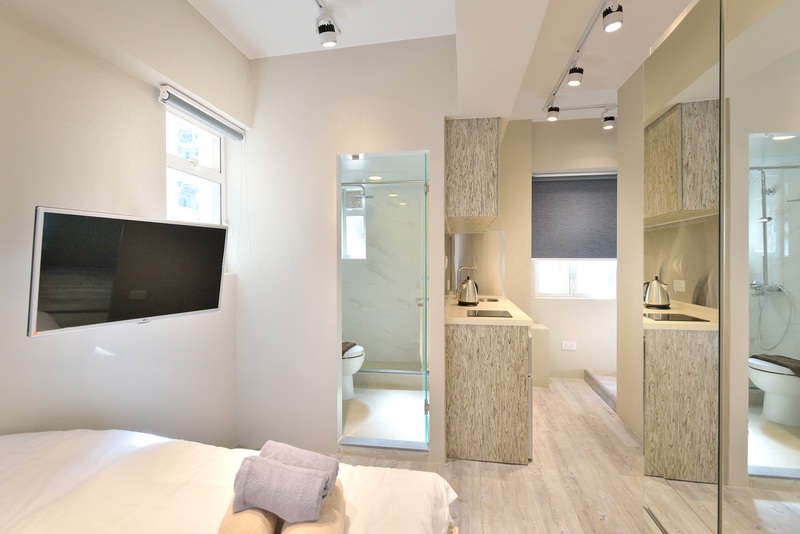 Harana offers affordable family villas, deluxe rooms and a community youth villa. The Harana bar also hosts one of the weekly parties with live music. Kermit’s is set back away from the beach, with a tropical oasis vibe. 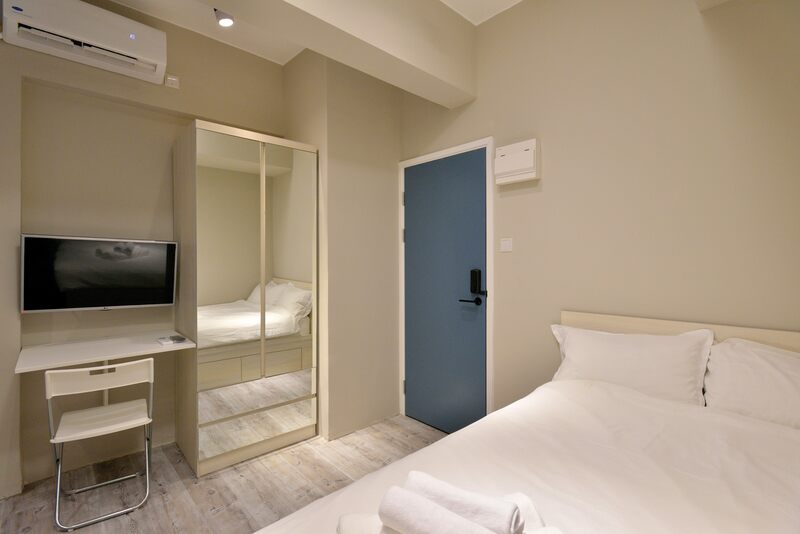 There’s a range of rooms for all different budgets and the food here is fantastic. 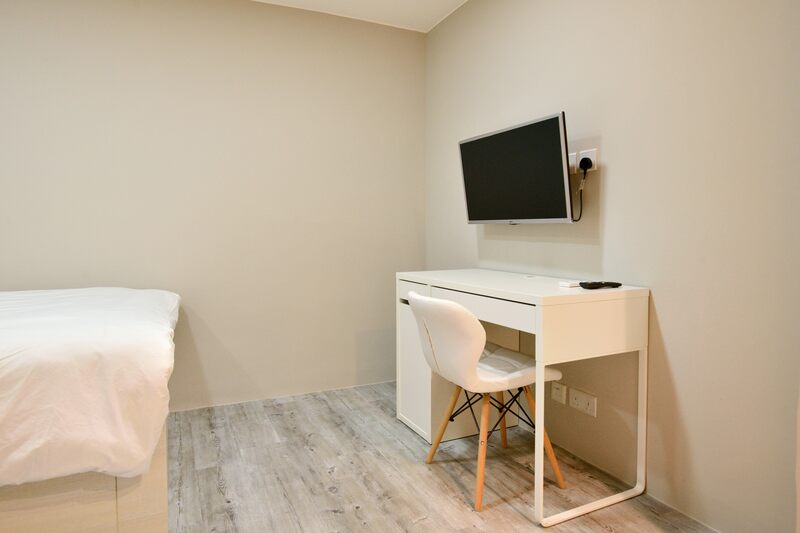 You won’t need to worry that the restaurant and bar fill up quickly, as guests have the comfort of a cosy guest-only chill out area next to all the action. 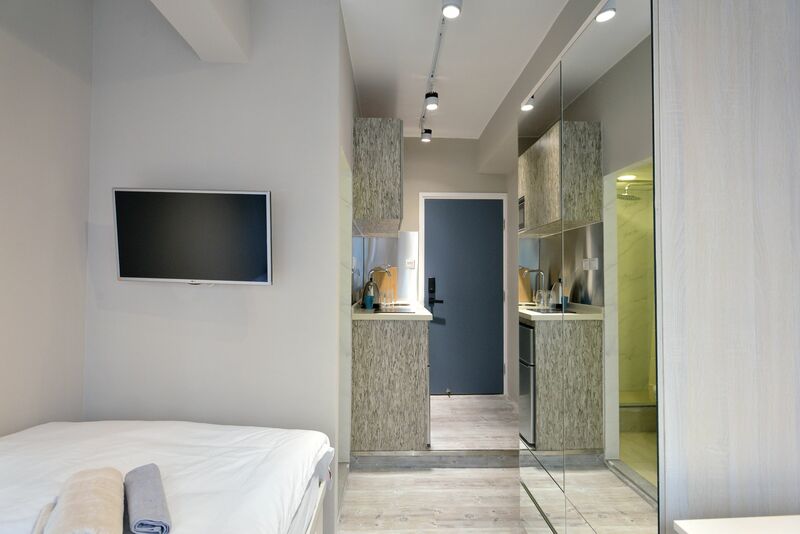 A beachfront boutique hostel, welcoming those looking for a “home away from home”. 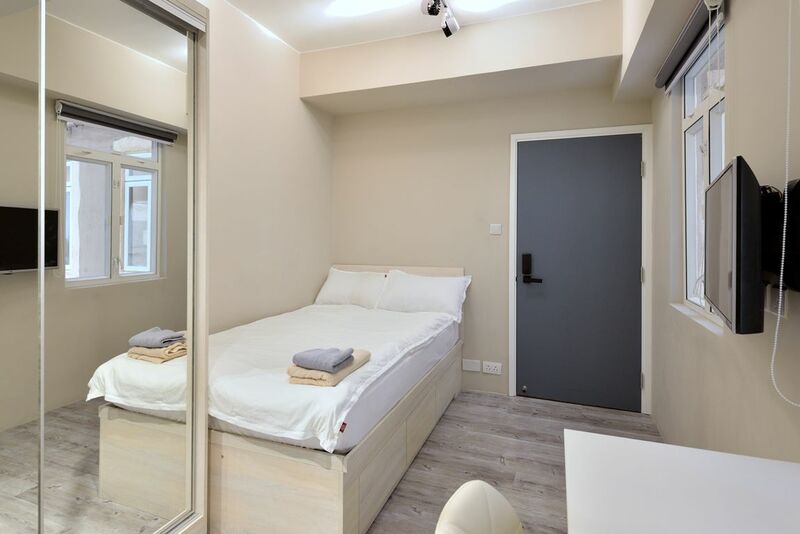 Lampara offers a modern 8 bed mixed dorm or glamping, and has a chilled hangout area with an open kitchen. What started off as a sleepy Pacific Island in the South-East of the Philippines soon became the Asian surf destination and is now part of the world surf tour. It’s a great place to come for absolute beginners as you can find waves to suit all levels. The quality of teaching is really high as it’s governed locally, so all instructors go through some tough tests to pass. Expect to pay around PHP300+ per day for board rental if you are confident to paddle out on your own and don’t need guidance. 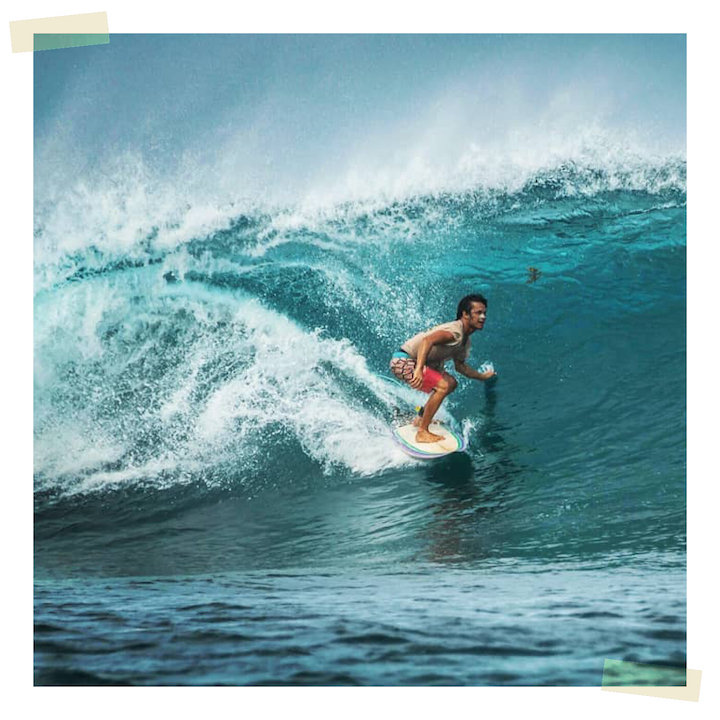 If you’re learning to surf, you could consider pre-booking a surf camp for daily lessons and accommodation at resorts such as Buddha’s Surf Resort or Harana Surf School. Harana runs a great beginners course for PHP2,500 per lesson with a classroom session focused on helping students understand the complex elements such as gear selection, reading the tides, swells, and of course, safety. If you prefer to wait until you arrive on the island, you’ll have no problem finding an instructor at a reputable surf school like Kermits where could expect to pay around PHP1,200 per day for a 2 hour lesson. 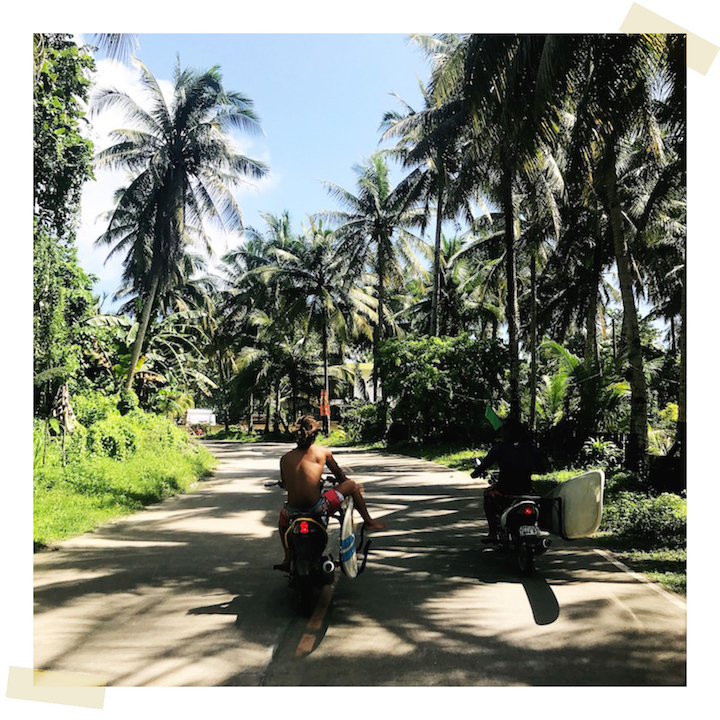 Jumping on a scooter to explore the island, driving through the lush green jungle and tunnels of towering coconut palms was our favourite part of the trip. Situated in the Northern part of the island (1.5 hours) from General Luna, this secluded and tranquil beach is well worth checking out, and offers the best spot for swimming (unlike the reef-lined beach along General Luna). The more North you go, the more scenic the drive becomes, catching glimpses of the crystal blue coastline through the palm trees with the incredible soundtrack from the surrounding jungle all around you. A drive to Alegria beach will also take you past some of the top island attractions below. 1. Cloud9 Pier: A beautiful spot in General Luna for sunrise, sunset or for simply watching the surfers tear up the waves. 2. 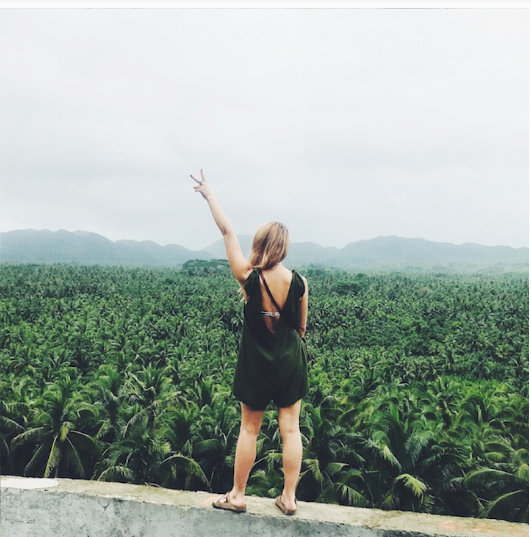 Coconut Palm Forest: About 30 minutes drive from General Luna, you will hit the top of a road and suddenly come across a sea of coconut palm trees as far as the eye can see. This is a popular spot to stop and take a photo, or check out the Mountain View restaurant directly opposite for a fix of bbq’d Lechon and sip on a refreshing beer while taking in the view. 3. Tayangban Cave: Full disclaimer, this experience may not be for everyone! You’ll be guided through an eerie wet cave, with bats flying around from time to time or hanging on the roof of the cave above your head. After floating through the cave for around 15 minutes you’ll make your way out into a beautiful rock pool surrounded by trees and vines, offering another perfect spot for cliff jumping! 4. Magupunko Rock Pools: About a 45 minute drive from General Luna, the magnificent blue rock pools are only exposed during low tide, so be sure to check out the low tide time on the day you visit to avoid a wasted trip. We would also recommend getting here a little earlier to avoid the crowds. The rock pools are alongside a nice stretch of beach where you can buy fresh coconuts and relax. Sassy Tip: This is a great place for some cliff jumping – bring water shoes (or trainers you don’t mind getting wet) as the rocks can be sharp. 1. 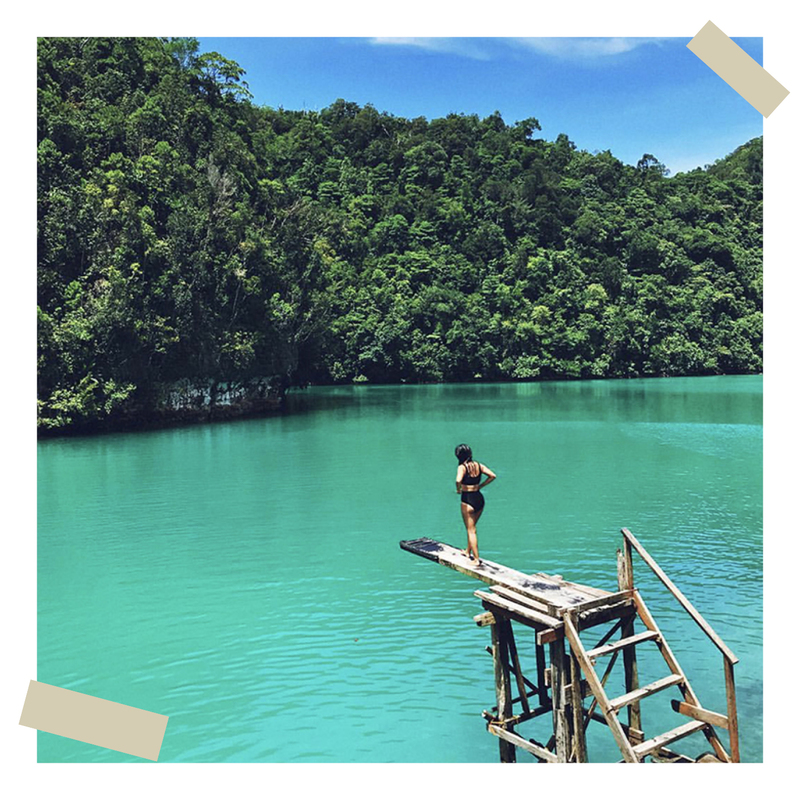 Sugba Lagoon: You can check out Sugba Lagoon through an organised tour and spend the day hanging out in the blue lagoon surrounded by trees and mountains. Here you can fill up at the cafe, hire a SUP board or raft and take in the beautiful scenery. 2. Tak Tak falls: If you have a full day spare or you’re a keen cliff jumper, you might want to check out Tak Tak falls. The drive here is around 1.5 hours at the very top of the island, so plan your day accordingly or perhaps consider breaking up the trip and stopping off for the evening in a small town along the way, for a taste of local life. 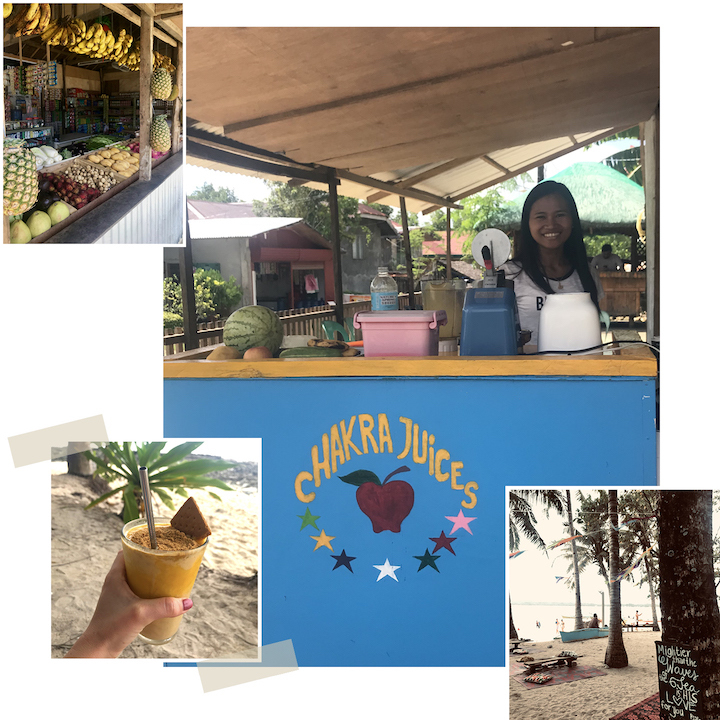 Sassy Tip: Keep an eye out for Chakra Juices on your drive towards Alegria Beach, and stop off for a freshly made juice! If you would prefer the ease of an organised tour to visit these places, most of the bigger resorts like Kermits run land tours for around PHP1,500 per person. 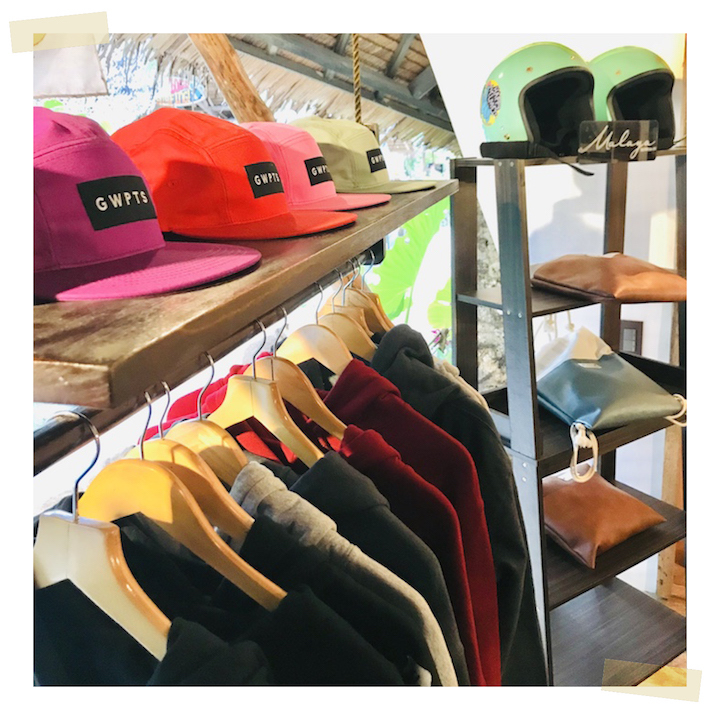 We checked out the neighbouring islands of Siargao through an organised tour through the Gwapitos shop at Kermits (priced at PHP1,000pp). The tour lasts the whole day, starting early in the morning and visiting the three picturesque islands surrounding General Luna by MARAJAW boat. First up is Naked Beach (named so because it is, errr, naked). It’s literally a sandbank surrounded by colourful reef, offering a great opportunity for snorkelling. Then you will visit Guyam where you have the opportunity to do some beach volleyball followed by a satisfying feast of fresh seafood, meat, vegetables, rice and fresh fruits. You can also indulge in a few drinks before heading on to the final destination, Daku Island. Relax on some of the tree swings whilst sipping a mango graham – a combo of a mango smoothie loaded with biscuits. We highly recommend having one of these before making your way back to Siargao! A new Wake park opened in late 2017 and offers two lakes and some poles in between. There are no boats as it’s all mechanical but the lakeside bar makes it an outing well worth doing. In the southern part of General Luna beach around Bravo beach resort, this is a popular sport. Most of the resorts will offer daily yoga or if they don’t they will point you in the right direction. The good yoga spots are at Buddha’s, White Banana and Greenhouse. Expect to pay anywhere from PHP400 and up and it is usually acceptable for yogis of different abilities to be in the same class. With the general ethos of the island a relatively healthy one, you can expect to see a few gyms along the main stretch of General Luna. SOS Island gym is a hit, mainly due to its great facilities and variation. Muay Thai, surf fit classes and HIIT happen daily and you can expect a mix of tourists and locals training here. It’s not too crowded and the quality of training on both group and PT session is high. Expect to pay PHP500 for a group class and around PHP800 for an hourly PT session. The island has a lot of independent brands offering a selection of surf gear, swimwear, jewellery, clothing and souvenirs. 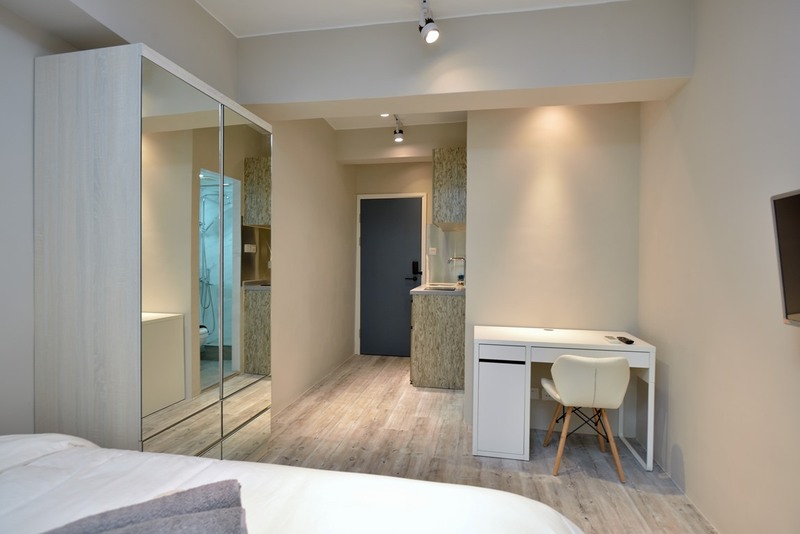 And with such a big focus on sustainability, you will also find an array of eco friendly products such as reusable bottles, straws and natural skincare products. Gwapitos is one of the big local brands and you won’t go far without seeing hats or tee shirts on a local or tourist. You can also find beautiful handcrafted jewelry from Golden Monstera. Siargao is an eco-conscious island with a big focus on sustainability and keeping the island clean. Make sure you take a reusable bottle with you to fill up on filtered water at any restaurant or hotel, and a great way to support the island on its mission (and also hang out with locals) is to join a beach clean up! Get in touch with SEA Movement, Gwapitos or The Sun Crew for information on the next meet up. 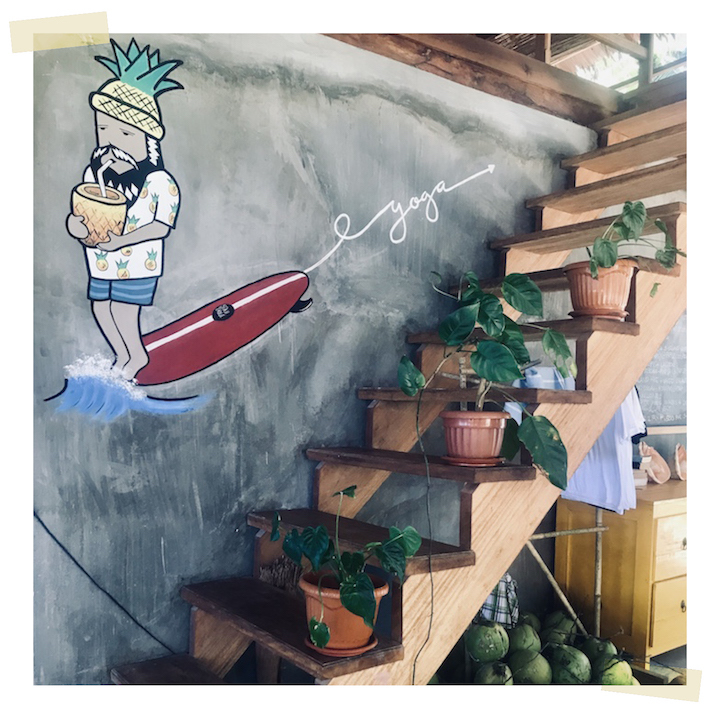 While some might not think of the Philippines as a foodie destination, Siargao is putting that to the test. With a huge offering of great quality local and International cuisine, if you’re only visiting for a week you may well run out of time to tick all of our recommendations off the list! An Italian-Filipino family run restaurant, serving up comfort style cuisine, great wine and cocktails in a rustic and cosy outdoor setting. Stefano and his wife Priscilla first opened the restaurant as a small roadside eatery and this place has seen somewhat of a transition from its early beginnings, adding tables and expanding over the years to keep up with popular demand. Stefano tells us living in a fairly remote part of Asia does throw up a few challenges when it comes to finding Italian ingredients and replicating the taste of Italy, however, they definitely rise to the challenge and offer a menu that’s full of incredibly tasty dishes. Our favourite dish was the Guazetto Di Pesce (Italian meets Filipino slow cooked seafood hotpot). Make sure to go hungry and save space for dessert, although don’t worry, if you find you’re too full, the Nutella Panzarottini is just as good to go! Other must try dishes: The antipasti sampler, Lasagna (quite possibly one of the best I’ve tried! ), handmade Tortellini Di Noci E Zucca. This no frills roadside eatery offers pork, fish, chicken and vegetables grilled to order at a very reasonable price. It can get busy, so if you don’t like to wait best to check it out early afternoon or late in the evening, and if you’re not sure where to find it, just follow the smell of the bbq! A beachfront restaurant with an open kitchen, pizza oven and a bright and modern dining area inside, with candle lit al fresco dining in the garden. Serving authentic Italian food made with top quality ingredients and a great selection of wines. If you’re looking for some fuel for your action packed day, Shaka is where you’ll find your healthy fix of power bowls, shakes, cold pressed juices and coffee. The Insta-worthy power bowls are served in coconut shells, with freshly cut colourful fruits. My favourite order was the Bom Dia! Made with acai, banana, mango, pineapple, berries, coconut milk, and handmade granola. This place does get busy, but you’re waiting with the view of Cloud9. Best known for its brick-oven pizzas, this popular restaurant can have up to a 2-hour wait! Kermits has an extensive menu of appetisers, salads, entrees, fresh fish, pastas, risottos, sandwiches, wraps, pizzas and daily specials. It’s the kind of place you’ll need a few visits to work your way through the delicious menu – and you’ll definitely have food envy as other dishes pass by your table. The generous portions here are packed full of flavour using high quality ingredients. Apart from the pizza and pasta, our favourite dish was the Kanilaw a.k.a Kiniloy, a local recipe from one of Kermit’s best surf instructors! Made of freshly diced raw fish, topped with vegetables in a delicate coconut vinaigrette. A traditional French patisserie and bakery, with the most amazing sweet and savoury treats. Whether you’re after freshly baked bread, croissants, croque monsieur or the French classic, Paris Brest, you won’t leave disappointed. Serving excellent ceviche and kinilaw with super fresh, unique flavours and ingredients. We loved the Mexican inspired Santa Fe with chilli garlic popcorn, avocado, calamansi juice, fried bananas and crushed tortilla chips. And you can’t go wrong with the General Luna Kinilaw bowl and the Pacifico Ceviche. Head here for a fix of affordable and tasty tacos, burritos, quesadillas and cold beers. Served in an open air restaurant with benches looking out over the main stretch, this is a perfect spot for people watching and unwinding. Must try: The fish tacos and beef burritos.